Industrial Tomography Systems plc (ITS) is a world leader in process tomography. 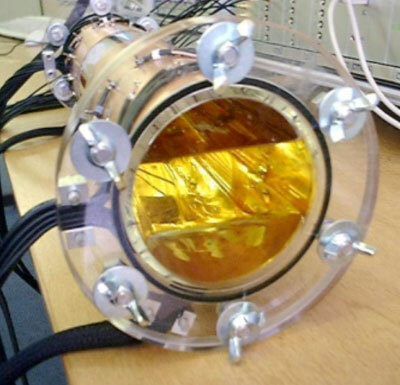 The company provides a range of electrical and acoustic-based tomography systems for research and process applications. These are unique designs are based on patented technologies, expertise and in-depth knowledge built up over more than 10 years of numerous industrial applications. Instrumentation, software and sensors from ITS are used to characterise a wide range of multi phase processes including mixing, separation, flow and reactions. Electric process Tomography is a measuring technique applied to get information of the content of vessels and pipelines. 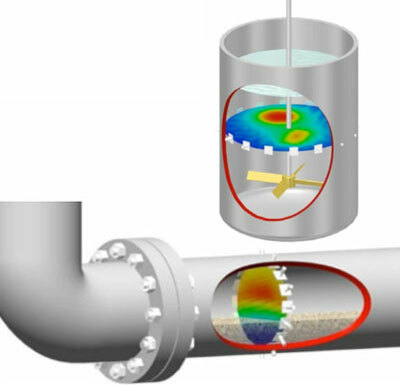 Tomography makes it possible to estimate the spatial division of phases and chemicals inside vessels or pipelines and to get an instant feedback on reaction processes or efficiency of solute transport. The basic principle of the technology is to measure electrical resistance/conductivity at the periphery of a process vessels or pipelines, and then to combine this with information provided about the electrical properties through the cross section. This information can be related to phase concentration, flow characteristics, homogeneity, temperature, and a wide range of other characteristics. A single data set (over 100 measurements) can be taken in less than 40 milliseconds. The information retrieved will be processed by mathematical models in the software, and a visual image of the process conditions will be created (e.g. division of phases in a multi-phase process and quality/consistency at repeated measurements of a volume). 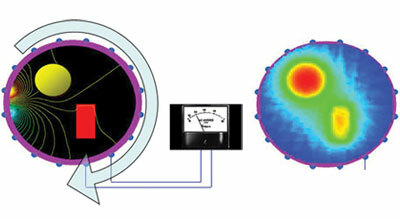 Tomographic data is typically presented as a colour coded image – red for conductive and blue for nonconductive materials. Each image (tomogram) is combined from a range of derivative conductivity measurements. ITS systems are widely used in the pharmaceutical, food and household products, oil and gas, nuclear, and mineral processing industries. They provide data to enable customers to improve efficiency, monitor and improve quality, shorten cycle times, improve yields, characterise particle size distribution, investigate multi component flow rate, and develop new or improved mixing technologies. ERT: Electrical Resistance Tomography. 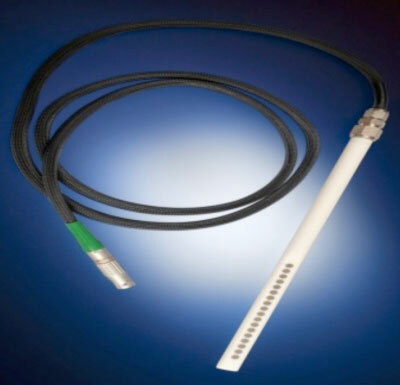 ERT is used in multiphase systems where each phase has very different conductivity. This makes ERT a powerful technique for measuring behaviour of mixing, flow, and separation where the reactants or products have different conductivity, for instance crystallization. ERT is used when the materials are conductive, for instance: water, acids, bases and ionics. ECT: Electrical capacitance Tomography. ECT is used when a bulk material has no conductivity. In the image of ECT, red stands for high dielectrically value, for instance oil, and blue stands for low dielectrically value, for example air. ECT is therefore used when the materials have no conductivity like air/oil. If the process conditions change from no conductivity to being conductive or vice versa a combination of ECT and ERT is used. Examples may be polymerization, drying, or multiphase flow. 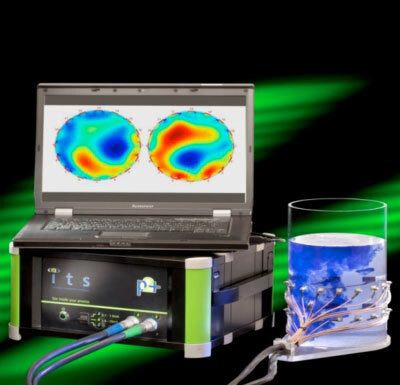 EIT: Electrical Impedance Tomography. ERT and EIT are used commonly and are often distinguished. EIR measures both the conductive and capacitive components in a material. This allows one to distinguish between conductive components based on their characteristics. An example is organic materials in suspensions, as a significant capacitive component may be distinguished from ionic nutrients. EIR still requires a conductive medium.